According to Tim Smith, HVS' Africa managing partner, the African hotel market is evolving rapidly, growing on the back of the positive effects of economic growth, foreign investment and political stability in a number of countries on the continent. This statement follows the release of HVS' 2018 African Hotel Valuation Index (HVI) results at THINC Africa 2018 - Africa's Tourism, Hotel Investment and Networking Conference. "The ability to better cater to local guests is becoming increasingly important for hotel brands and independent operators across the African continent, with menus, language and culture all being key to welcoming more African guests. It is, in fact, an anomaly that hoteliers are still teaching their staff Mandarin, yet have not maximised markets closer to home," says Smith. The fifth edition of the HVI analysed the hotel values of 26 markets operating in 19 African countries, providing crucial information for investors. In order to give the most complete picture of hotel performance and values across the continent, Smith says the Index surveyed in excess of 75,000 existing and 11,500 proposed rooms in the upper mid-market and higher space. "Over the last five editions, the Index has steadily increased in scope from 14 to 26 markets, as a result of a rapid growth in availability of data – making it the most comprehensive study in the category. This is a great indication of the ever-increasing speed at which the African hotel market is evolving." For the first time, the HVI has also included growth forecasts for the hospitality market. Smith notes that leisure destinations in countries such as Kenya, Morocco and Ethiopia and the Indian Ocean Islands have shown significant growth during the course of 2017, with even more development expected in the coming years. "To name just one example, the values of hotels in Casablanca have increased by an estimated 10% in 2017, and are expected to grow by a further 7% in 2019. The opening of the Royal Mansour and the Marina in 2020 and 2021, is likely to further boost traffic from high-spending leisure tourists." Smith adds that even smaller cities are showing high growth potential. 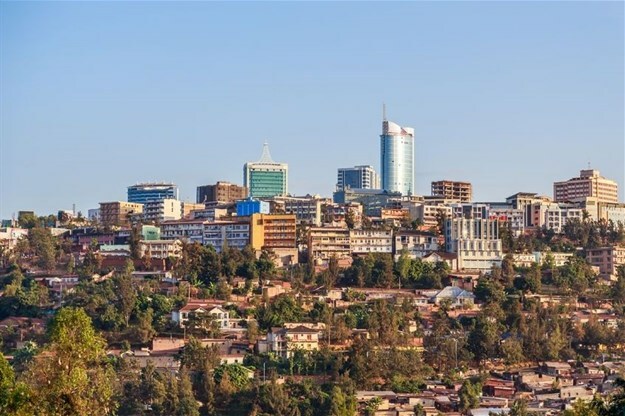 "Many cities with fewer than 1,000 organised/branded rooms are also expected to attract increased interest from investors over the next three years, with key factors like urbanisation and improving infrastructure playing a significant role in the development of these market players." Increase in regional tourism – both business and leisure – improving air connectivity across the continent, evolution in politics, increased room night demand and domestic consumption are all positive steps in the right direction for the fast-developing continent, says Smith, who notes that the fall in values for some of the markets in 2017 have been due to temporary setbacks in the politico-economic situation, or a short-term oversupply. “It is important to note that despite a fall in occupancy and value level for some markets such as Kampala and Abidjan, the overall room night demand has increased year on year. "Based on the data, we believe that many of these declines in performance are temporary. Africa has only seen the tip of the iceberg when it comes to visitors from regions like China – this largely untapped international potential, coupled with the growing local market promises to make the African hotel market even more competitive on the global front," conclude Smith. For more information and updates on THINC Africa, check in on our THINC Africa special section.